On my walk into town I pass several businesses that I stop and talk to the owners and feel like they are my friends now. 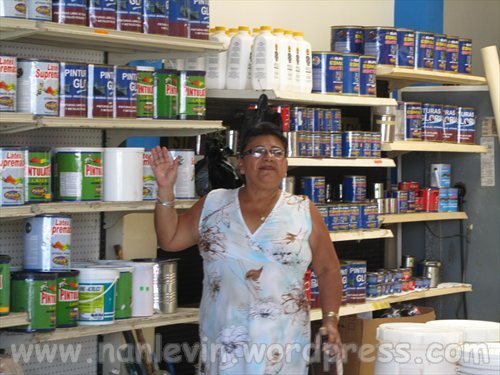 The first is a store where you can buy welding supplies; they also sell paint and equipment. Almost every morning that I walk by the owner is outside sweeping crickets away or washing down the sidewalk in front of his store. I normally stop and we have a brief yet warm conversation. He and his wife are just the sweetest folks. They speak no English but with my basic Spanish and some smiles and kindness we seem to communicate very well. One day last week I was passing and asked if they could weld a charm back on a silver bracelet. I have never seen a jewelry store here that looks to be able to do repairs. 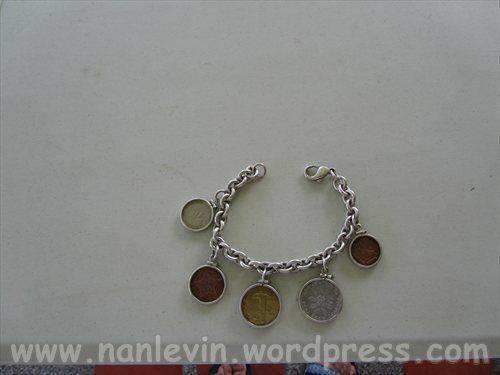 This bracelet has coins from several countries in the Caribbean and was given to me by Joe many years ago while still living in South Florida. I wear very little jewelry here not wanting to attract unnecessary attention. But this bracelet is not to sparkly and I really like to wear it once in a while. This morning Gloria was working instead of her husband and of course I stopped to chat. I showed her my bracelet and the loose coin. First, like a real mommy, she got out the brass polish and spent 20 to 30 minutes cleaning my oxidized coins. After it was property shined up she found a way to affix the coin to the bracelet and handed it back to me just like new. I asked how much she wanted for her time and effort in repairing it. She would not take a penny, I offered to tip the young man who helped work on it and she again refused. I just love these people. She does not know me, except as a woman walking past her store several times a week. I again cannot get over the feeling of being blessed to be in this country. Each new person, each new experience, makes me feel such closeness to the Ecuadorian people. Here is my friend Gloria. What a lovely woman! So if you need welding supplies drop by to visit Gloria. Her store is located on Paquisha between the new Drivers School and the Chevy Showroom. 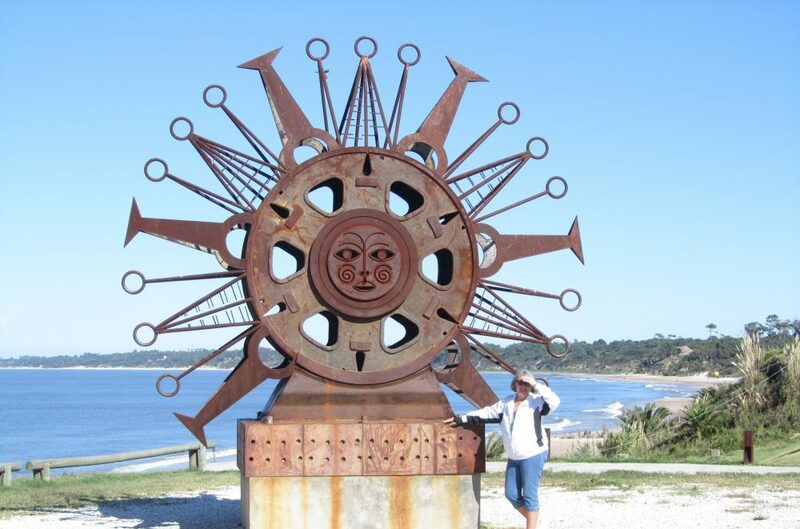 This entry was posted in Ecuador, General Villamil Playas, Playas and tagged Beach living, Ecuador, Expats, Social Security, South American by Nancy Levin. Bookmark the permalink. This is the reason why I like your blog…sharing your daily life experiences in Ecuador without sugar coating it. Give that nice lady a big hug from me, she is a very caring person, you are indeed blessed to know such wonderful people in Ecuador. Wish our own were like that here in the States…guess too much to ask.